This bag is knit with one strand of Mango Moon Recycled Silk and one strand of Dharma, knit together on a 10.5(6.5mm) needle to get a heavyweight material. The bag is simple, a stockinette 12”(30.5cm) tall drawstring sack with a flat base. Through an ingenious strap construction method, the bag can be worn over the shoulder, as a back pack, or across the chest as a messenger bag. The bag is a perfect size for a book, some sunscreen or makeup, sunglasses, and of course, one’s knitting project. An optional lining is suggested for those who plan on stowing their keys and change in the bag as well. 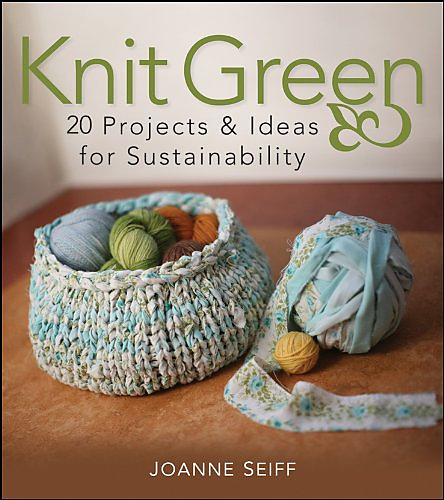 Note: Use 300 yards of a bulky weight yarn or 300 yards each of 2 lighter weight yarns knit together to make this project.